Very sturdy cast iron fondue set of the brand Boska. 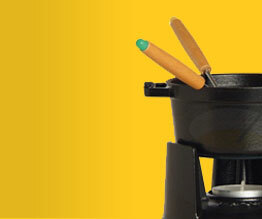 An authentic, high quality black cast iron fondue set. This is the way a fondue is really meant to be! 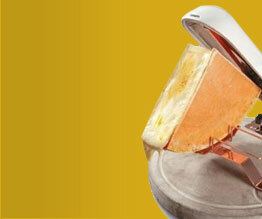 First you have to warm up the cheese on the stove and once it is warm, it has to go on the burner on the table. Then, enjoy! 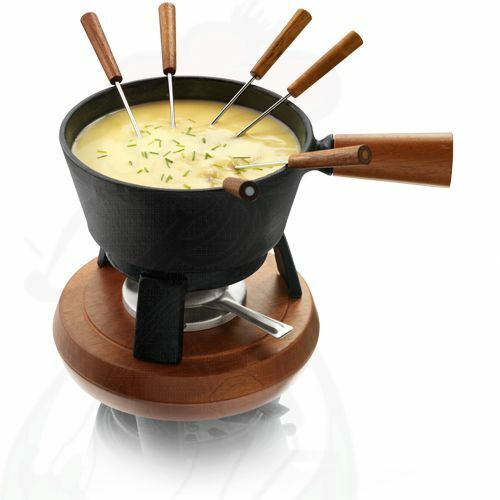 The Boska Cheese Fondue Pro is made of cast iron for an authentic look and superior heat conduction; the cheese will therefore stay hot for a long time. 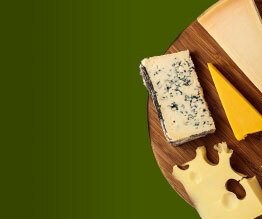 Boska Holland was founded more than 100 years ago in Bodegraven by Willem Bos, when he forged his first cheese scoop. The family company developed over four generations up to the current company specialised in high quality cheese equipment.